Cove Creek Elementary School honored those who served our country in the military with a special Veterans Day celebration that drew about approximately 30 veterans to the school Friday to be honored by students and school personnel. Those in attendance included veterans of World War II, Korea, Vietnam, the Gulf War/Operation Desert Storm, the more recent conflict in Iraq, the continuing war in Afghanistan, and those who served in peacetime deployments. The celebration began with a Cub Scout honor guard to present the flag followed by a recitation of the Pledge of Allegiance, a student group reading of a poem thanking veterans for their service, welcoming remarks by teacher Anne Donadio, and the playing of the national anthem. The ceremonies also featured a slide show with a sound track in which students introduced veterans in their family or the community and briefly described when and how each veteran served. There also excellent solo vocal performances of patriotic songs sung by Cove Creek students Cadence Saner and Kara Brooks. Veterans in attendance were recognized in groups by the period of their service, beginning with the three veterans of World War II that were present. 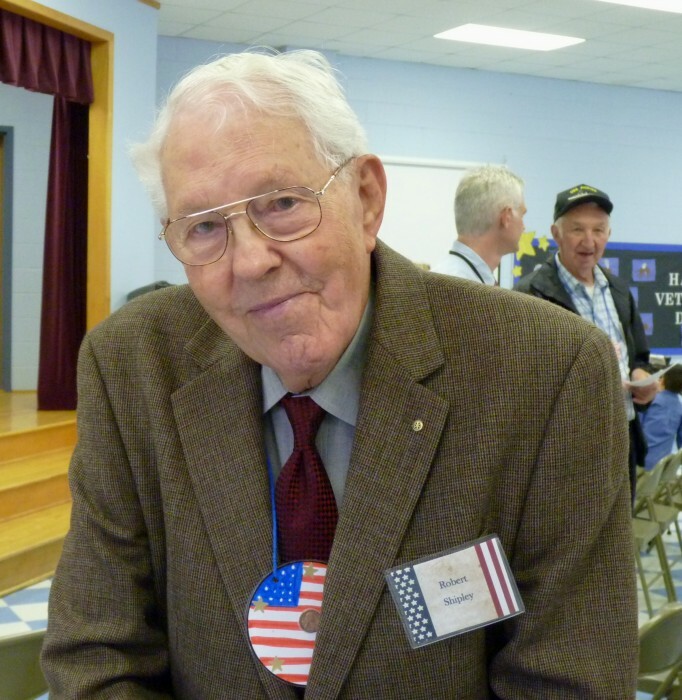 One of those three veterans was Robert Shipley, who served in the U.S. Army Air Corps. His tour of service included helping to train gunners on B-24 heavy bombers, as well as a remarkable assignment that involved agriculture rather than armaments. Shipley was part of a group of 12 Americans sent to Brazil to conduct research on raising food crops with hydroponic methods. Although the project involved no weapons, it was very much defense-related and vividly demonstrates the wide variety of ways in which veterans served their country. The purpose of the project was to work on ways of growing crops without soil so that military personnel could provide their own food in areas where the native soil was contaminated or otherwise unfit for agricultural production. In his closing remarks, Cove Creek Principal Toby Cone said the preparation for the celebration involved a lot of work from students, teachers, teacher assistants, and the school custodian. He thanked everyone who helped out, offering special appreciation to second grade teacher Tiffany Reece as the “commander-in-chief” that coordinated the event. Harris Teeter also contributed by donating refreshments that were served after the conclusion of the ceremonies. 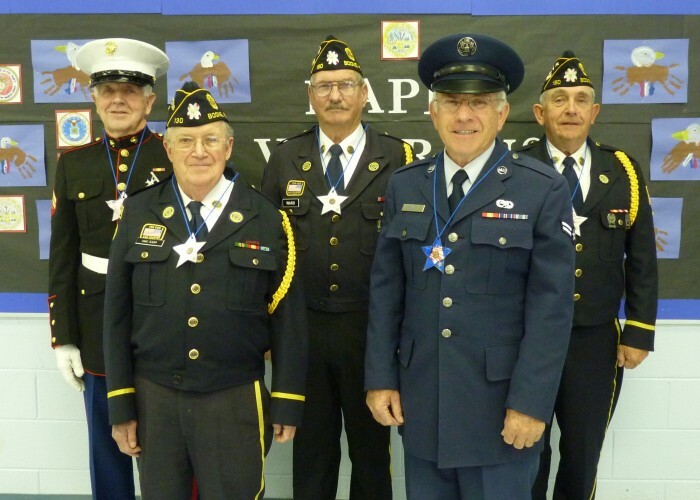 In addition to the celebration at Cove Creek, ceremonies to honor veterans for their service were also held this week at Parkway School and Green Valley School. Cove Creek School is one of eight combined elementary/middle schools in the Watauga County Schools system. It has an enrollment of 309 students in pre-kindergarten through eighth grade and is rated a NC School of Distinction under the state’s ABCs school accountability system.